Rallying is a relatively lonely pursuit: just you, your car, and a co-driver screaming directions in your ear. 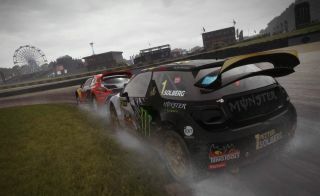 Rallycross is a more sociable event, and one that now has multiplayer support in Codemasters' Early Access rally-'em-up. According to this here blog post, there's a whole bunch of other fixes and features. You'll have to follow that link to see them, because I've arbitrarily decided not to copy/paste them here.